Inspiration pops up in the usual places as well as the unusual places. The other night, while watching a Bowen Island Film Society screening of Starting Out in the Evening, I caught a glimpse of a design in the wallpaper behind the main character and it gave me an idea for something I’m currently working on and struggling with. It also reminded me to get out and see and do things more often – to allow in a little fresh air and some new sights to feed the creative creature. And that’s exactly what I did this weekend, making time between my working hours for visits with friends, excursions to the beach and walks with the dogs. 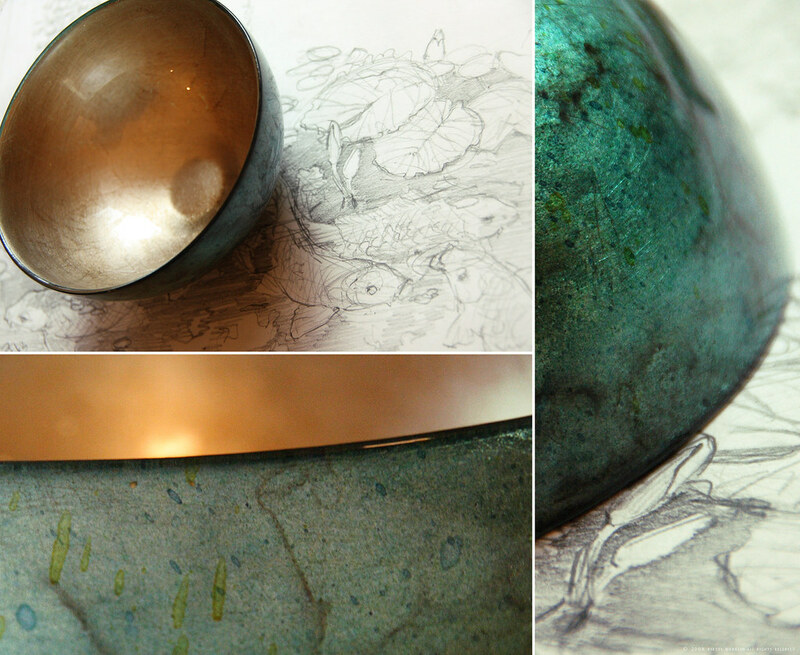 This is a photo of a little gilded glass bowl I bought at Gilt Studio Gallery in Bowen Island. The lovely layered colours, the result of colouring the leaf with dyes, have inspired me to try to approach my paintings in a way that allows the natural personality of the medium to be expressed, rather than always controlling it and bend it to my needs. I’m looking forward to getting back into the paint now, as well as exploring some new mediums and becoming a bit more spontaneous and experimental. 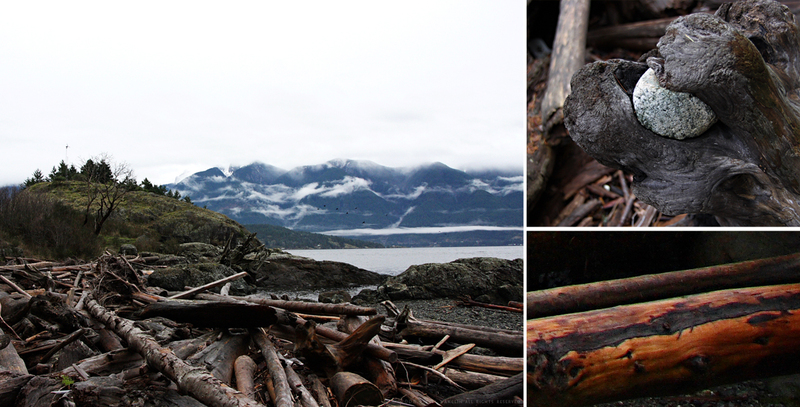 My other favourite source of inspiration comes from the misty coastal region of British Columbia. I love the colours, the ragged always-changing clouds, the smell of the sea, the chaos/order of driftwood, the textures, the wildlife and the regular sound of waves that seem to be keeping eternal time.